Obviously, I’m talking about my kitten, not anything else. Recently, someone asked “how long has he been a kitten now?” or something to that effect in response to another one of my facebook statuses bemoaning his tendency to break small things / knock over plants / eat plants / wake people at the crack of dawn. And even more recently, I went away for 24 hours, and when I returned, it did seem as if little Yuki had grown noticeably in my absence. Having looked it up, it seems that a kitten can be considered so until about 1 year old, when they’ve settled on their adult shape and got most of their bulk, but won’t fully stop growing / maturing until about two years old. They’re sexually mature at 6 months, but not for long, as he’ll tell you. Yuki is now seven months old. When we got him nearly four months ago, he was a small, gangly, leggy, unco-ordinated, fuzzy, fluffy and frankly stupid kitten. With Gizmo-from-Gremlins worthy ears. That are completely useless. 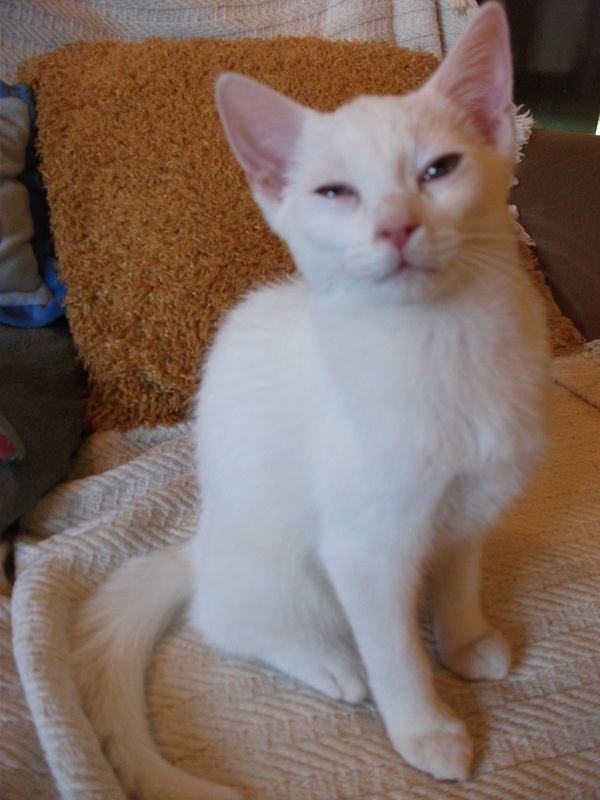 Yes, life and karma conspired, and we found ourselves with a deaf white kitten. "I'm blurry because I won't bloody sit still"
See what I mean about the ears? What fascinates me is that they still work in every aspect other than hearing; they indicate interest *pointing forwards, what’s this? Can I play with it? 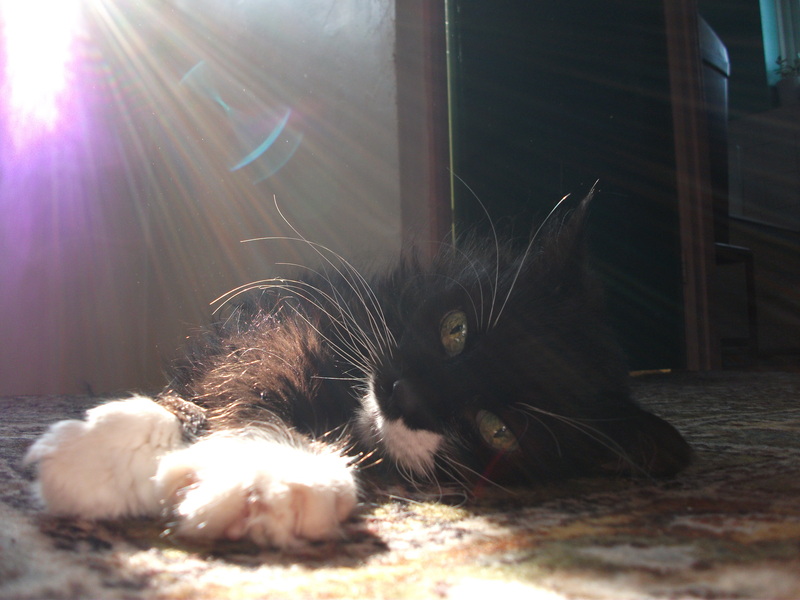 * annoyance *twitch / flick away, leave me, woman. I’m trying to sleep* and nervousness / excitement *half flat, what’s this? What’s this? What’s this? I must run at it very fast! * they still swivel around randomly (why, I don’t know) and twitch when he’s asleep. "check out these radar dishes, baby!" Unfortunately, they still don’t get on. If only he’d stop playing with her tail. But, hey, he’s still got the excuse of being a stupid kitten – for a little while at least. 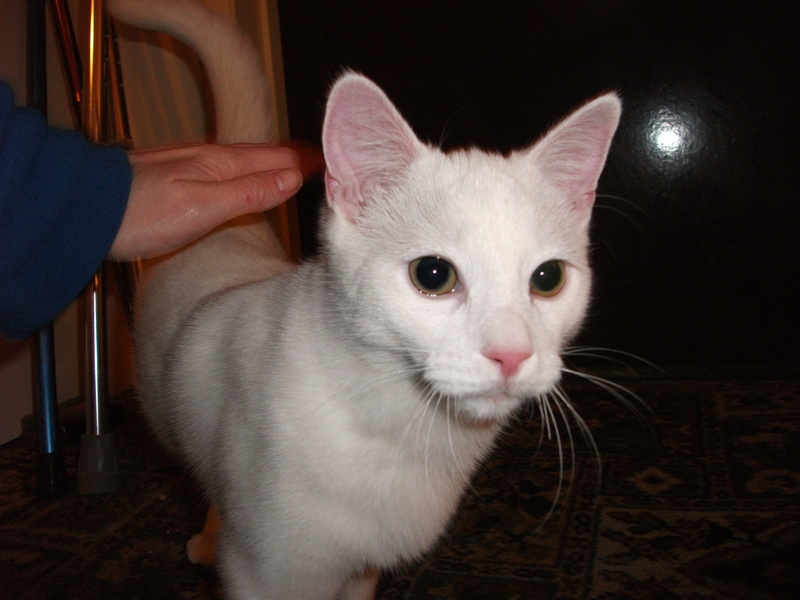 This entry was posted in Cats, Deaf and tagged cats, Deaf on December 13, 2011 by DeafFirefly.